This feature was created by Australian Traveller and supported by City Of Port Phillip. Melbourne has long been celebrated for its style, culture and passion. 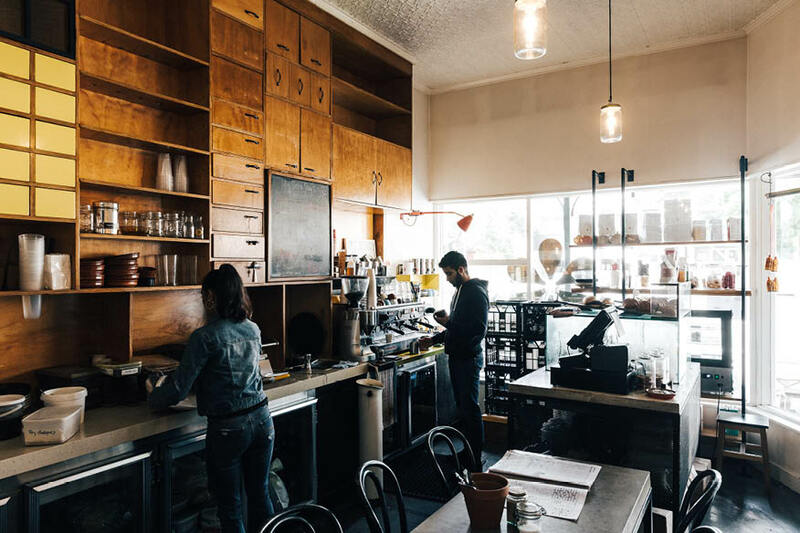 Albert Park and Port Melbourne are two suburbs that prove the Victorian capital’s appeal stretches beyond the inner city. By the time the Australian Open rolls into town in the middle of January, Melbourne is a city refreshed and renewed. The days are hot and the evenings long and warm, and neighbouring suburbs come alive with visitors who filter out of the city into local restaurants and bars filled with vibrant music, events, food, and wine. This is especially prominent in Albert Park and Port Melbourne, two historic Melbourne suburbs that reside just a few kilometres southwest of the Tennis Centre. They represent a welcome escape from the January heat, just a short walk or ride from town. Here, we map out one of many great ways to spend a day in each of the two popular neighbourhoods. When it’s not hosting the Australian Formula One Grand Prix in March, Albert Park’s extensive parkland makes it a hive of activity, particularly in the summer. Along the five-kilometre Albert Park Lake walking track, there’s a swathe of restaurants and cafes dotted along the parks and sporting ovals. Beyond the lake, Albert Park has a village appeal, with wide streets and historic architecture. St Vincent Place on the suburb’s northern border is an iconic architectural precinct and only a short walk from the busy Bridport Street shops. 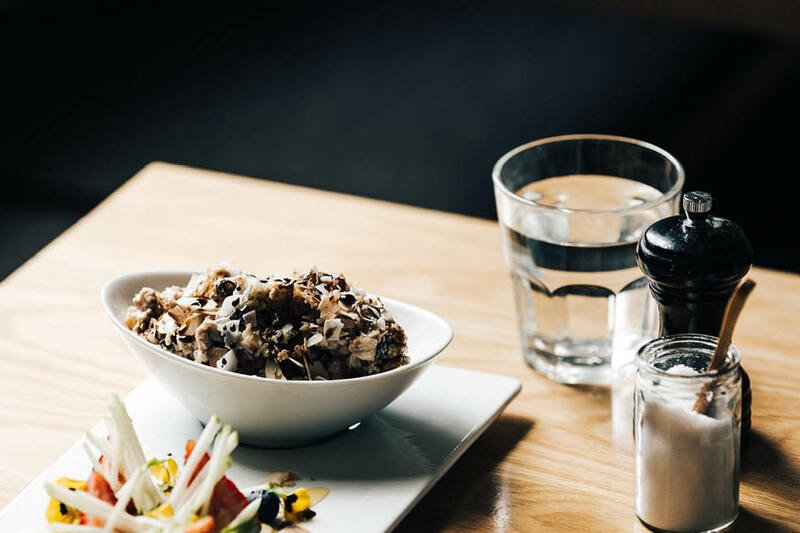 If you’re looking for an authentic Melbourne experience, The Guilty Moose combines the city’s best culinary minds with outstanding local produce. Specialty Coffee is supplied by Melbourne roasters Padre with milk from St David Dairy in Fitzroy. 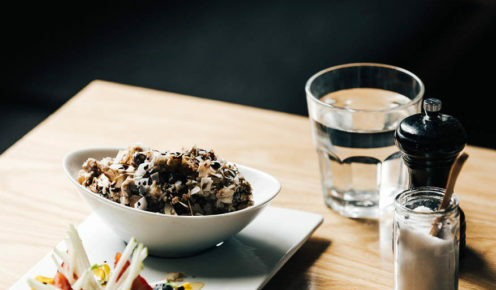 Head chef, Jason Chong, who formerly worked in the kitchen at world-renowned Attica, brings out the intricacies in simple local ingredients. Menu changes are made seasonally by Chong and the team, who’ve created a local favourite inside the rustic Victorian-era space. Gasworks Arts Park is an incredibly unique space, located on the fringe of Albert Park and Port Melbourne. 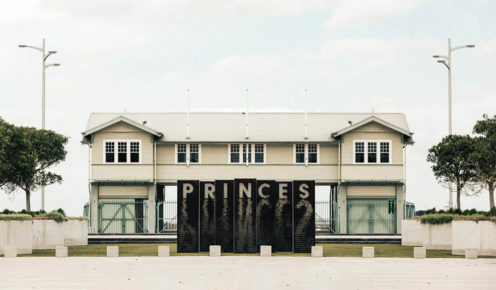 The former South Melbourne Gas Plant has been regenerated to house local and international artist programs from a range of different disciplines, including ceramics, visual arts, and sculpture. Visitors can choose from a variety of events throughout the summer, from walking the grounds to meet the artists in residence to farmers’ markets, classes and workshops. Just back from the beach on Victoria Street in Albert Park, The Petty Officer is a quintessential Melbourne cafe. They are so particular about their coffee, your order determines which specialty beans end up in your cup. Order a flat white (or anything with milk) and you will be slurping Industry Beans. Like your coffee strong and black and Seven Seeds beans will be giving you just the kick you need. In the kitchen, a modern Australian menu is made from scratch on site with local ingredients by head chef Dan Woollard (Il Solito Posto, Calamari Inc.). 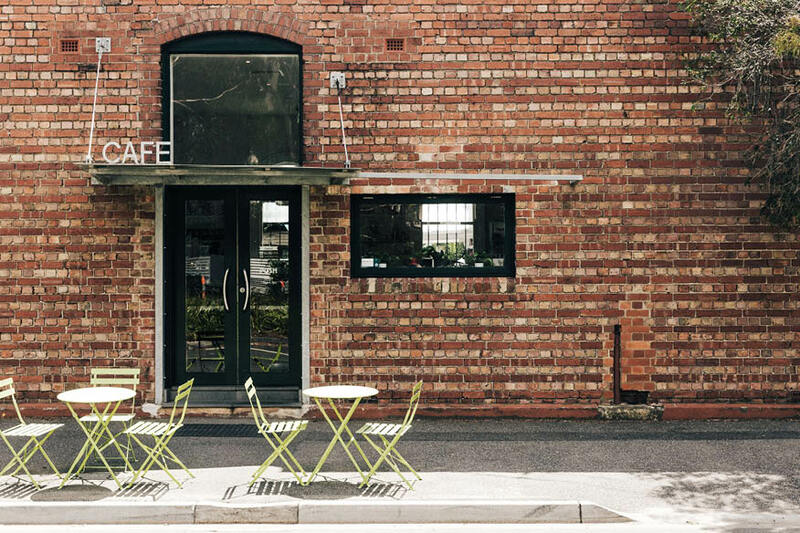 It’s a great place to cap off a Melbourne morning, in a light-filled modern space just up from the beach. You won’t find it in the guidebooks, but St Vincent Place is a truly historic destination for lovers of architecture and town planning. Originally devised by the then-Surveyor General of Victoria Andrew Clarke in 1854, St Vincent Place was designed to mirror square developments in London. Today the site is adorned with flowing lawns and traditional tennis and bowls clubs. It is a wonderful place to start the morning, with a walk through the garden and down St Vincent Place to view the ornate Rochester Terrace homes, which have been updated but remain structurally untouched. Atta, located just a few blocks inland from the beach on Victoria Street, is anything but an orthodox Indian restaurant. Owner and chef Harry Dhanjal is self-taught in the kitchen, and his contemporary Indian menu isn’t bound by tradition. On the menu, Harry’s idiosyncratic dishes show great care and respect for indigenous Indian dishes, while combining them with modern flavour pairings and culinary techniques. 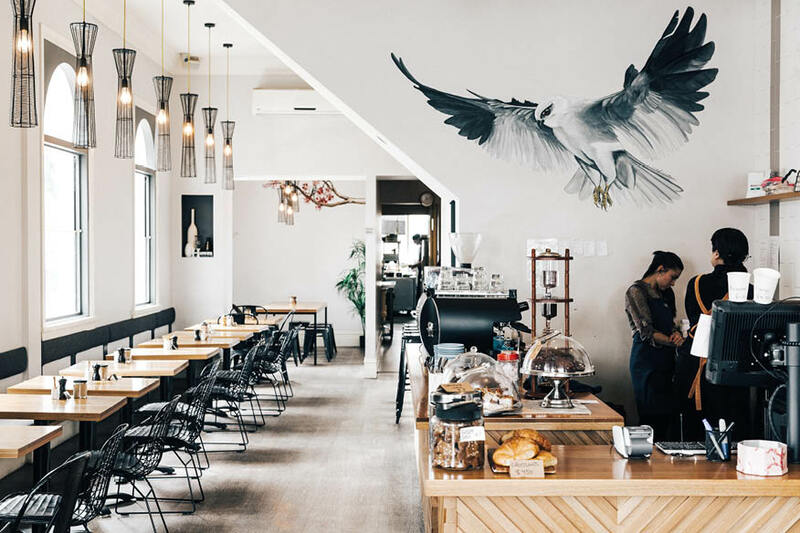 Like the menu, Dhanjal and his partner, Brij Patel, designed the space themselves, bringing a sophisticated feel to the traditional interior, with exposed white timber trusses and timber floors. In recent years, Port Melbourne has been through an incredible transition. 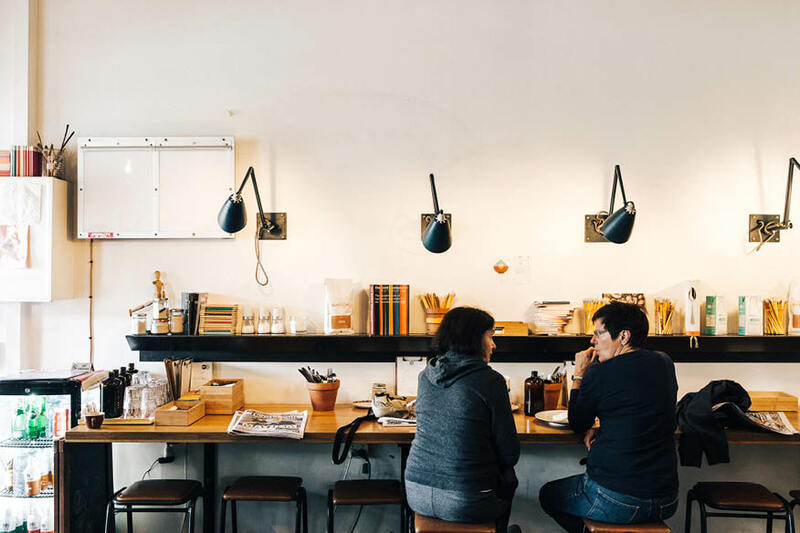 Once a thriving industrial district, its blue-collar past is juxtaposed today by modern eateries, gastronomic pubs and high-rise apartment buildings. The colourful clash of old and new makes Port Melbourne stand out beside its tree-lined neighbours, boasting views over the bay from Princes Pier, and boutique shopping on Bay Street. Fuel up at Station Street Trading Co.
For a quintessential Melbourne breakfast, start the day at Station Street Trading Co. It’s run by the owners of Coin Laundry – a long-established favourite in Armadale – who’ve created a friendly atmosphere in an historic building on Station Street, serving Melbourne-style breakfast with quality seasonal ingredients. There’s a selection of baked goods to take away, made fresh each morning. Coffee from local roasters, Allpress. 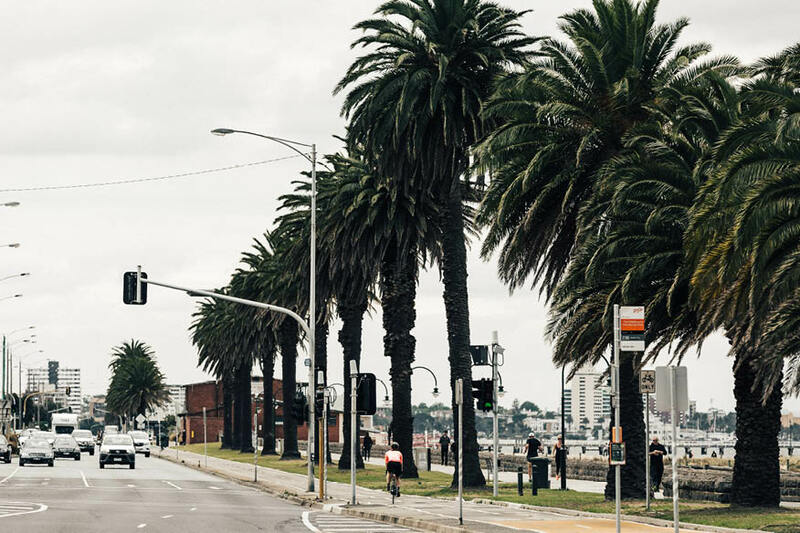 Running from the beach through Port Melbourne, Bay Street is a busy summer stroll, filled with quality boutiques, cafes and bars. 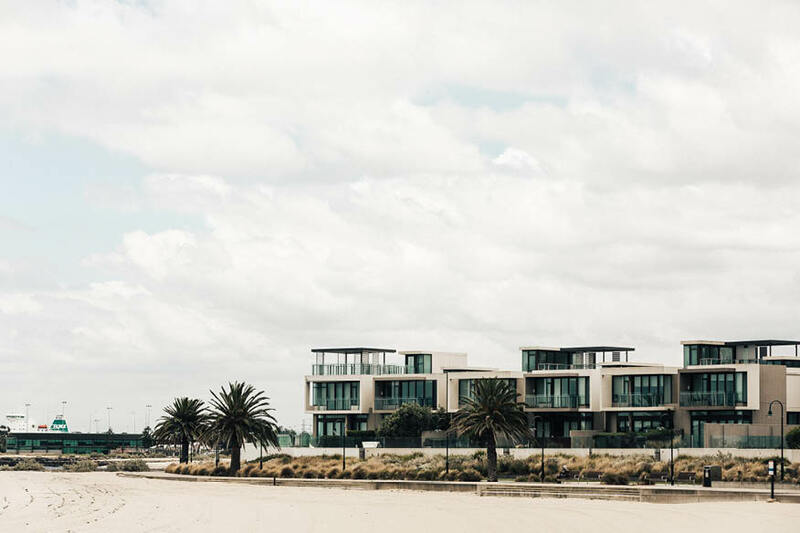 Spend the morning at Port Melbourne beach, followed by some retail therapy at Bay Street’s clothing boutiques (start with Lacquer, Laine Boutique, Diva Scandinavia and Gloss). For a look back at Melbourne’s larrikin past, there’s nowhere more authentic than Port Melbourne’s Railway Club Hotel. While there’s an air of cheekiness to the interiors (walls are festooned with famous Australian sports heroes), they take their food very seriously. Steaks are dry aged for a minimum of 20 days, with Australian cuts of eye fillet, porterhouse, and scotch fillet paired with matching wines. 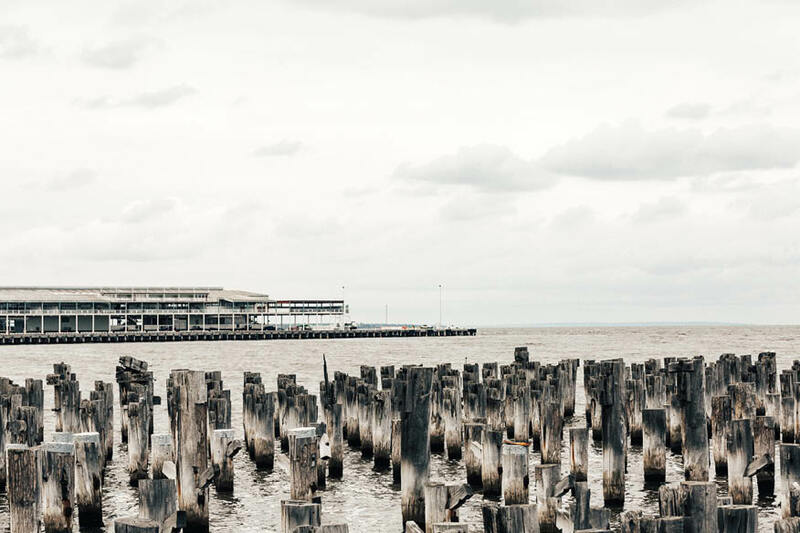 A major point of arrival for people migrating to Melbourne in the middle of last century, Princes Pier is now the major port of arrival for travellers. Year round, cruise ships from around the world dock in at Princes Pier. Along with offering an expansive view over both Port Melbourne and surrounding Albert Park and St Kilda beaches, the pier is always a hive of activity with new visitors helping create the buzz. Set in from Port Melbourne’s busy main thoroughfare, Bay Street, Corte offers Latin-influenced fare in one of the suburb’s most historic buildings. The old Port Melbourne Court House space turns warm-and-rustic diner by night, boasting spirits, wine and food from South American regions (notably Uruguay and Argentina) that embrace parrilla (grill barbecue) cooking.